Whisk all ingredients in large mixing bowl until well combined.Pour batter evenly into greased doughnut pan, you will have enough batter to make a few more doughnuts. Bake for 12-15 minutes until golden and beautiful. While doughnuts are baking, make the glaze. Mix together yogurt and protein powder in a small bowl until well combined. Remove from oven and set on cooling rack for a few minutes. 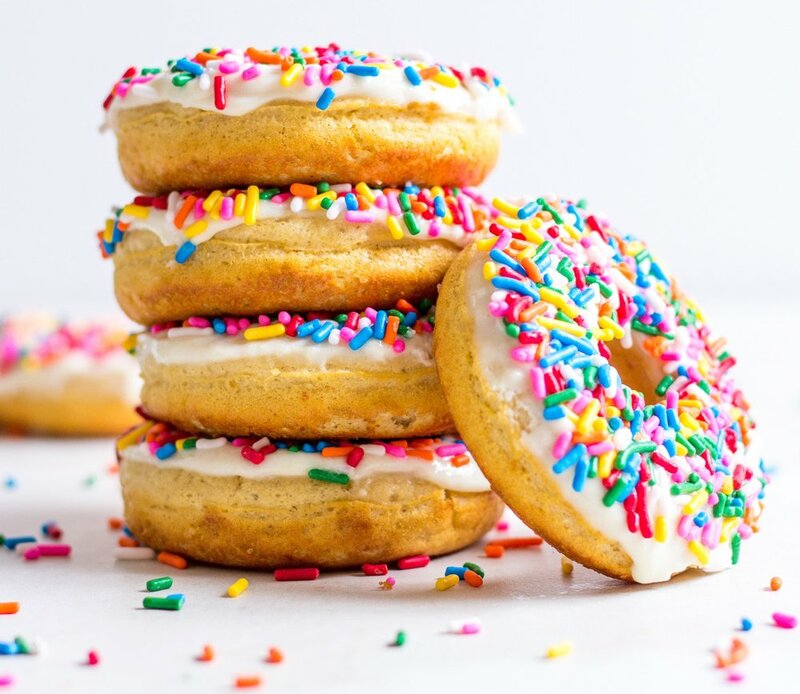 Spread glaze on donuts and top with sprinkles. Enjoy!